First up, a coffee machine. 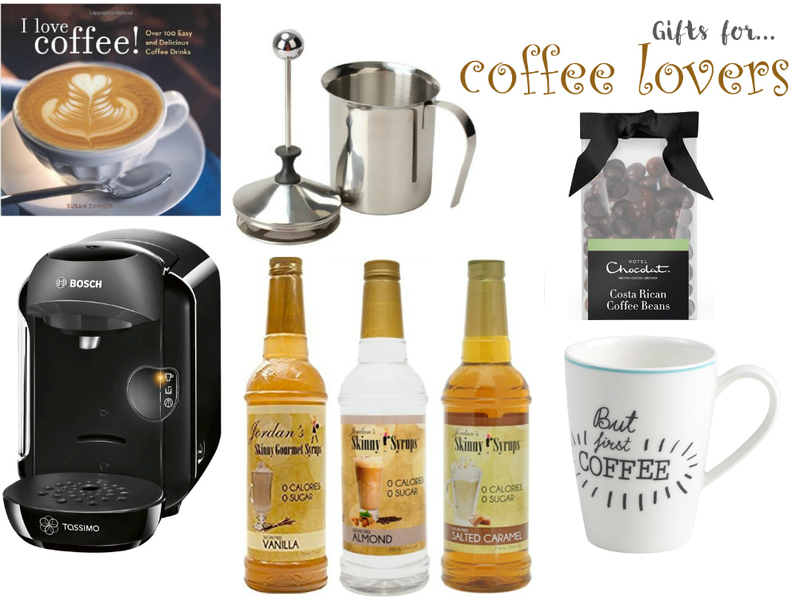 If you are looking for a gift for a coffee lover, a Tassimo coffee machine is definitely what I would suggest. You could also get them a few pods to try out with it. This ‘I Love Coffee!’ recipe book has over 100 coffee recipes to try. If you know they like flavoured coffees, then Jordan’s skinny syrups add taste without the calories as they are sugar free; recommended flavours are vanilla, almond and salted caramel. A simple milk frother would be great for cappuccino lovers. Every coffee lover needs a good mug, and I thought this ‘But first, coffee’ mug was perfect. Finally, rather than getting them regular chocolates, try these chocolate covered coffee beans instead.